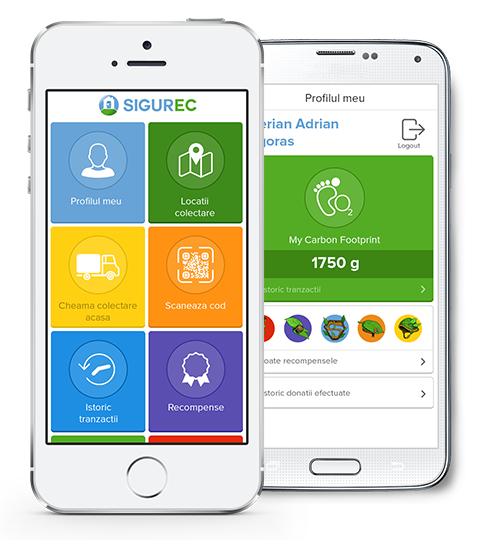 With the SIGUREC App, you can call to your home SIGUREC Mobil, the first waste collection service that is also free of charge. In addition to this, SIGUREC will monitor your recycling performance and will award you. Starting from the very first waste you recycle with the smart SIGUREC solutions, the app calculates your contribution to reducing the carbon footprint, according to the quantity and type of waste. This will put you in the race for green prizes. Welcome to the first community of smart recyclers!